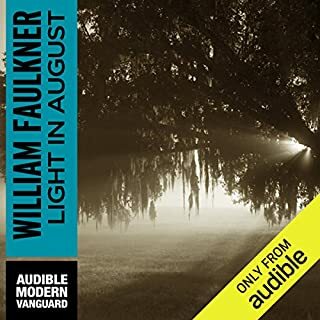 As a Faulknerian scholar, I was pleasantly surprised by this audio rendition of one of Faulkner's complex works. I used this recording to assist a blind peer who was studying the novel, and I read my copy along with the recorded reading to help establish and clarify the characters' points of view, especially with regards to the sections involving stream of consciousness. Together, we found the use of multiple readers helped distinguish the different narrators of this work. We thoroughly approved of the readers' Southern accents and (being from the South)found very few flaws in that regard. A few artistic interpretations of the stream of consciousness sections were distracting, as the readers chose to add punctuation rather than flow rapidly from one thought to the next without breaks. This did not take away from the story as a whole, but I did need to clarify this for the academic purposes of my peer. All in all, this was an excellent rendition of Faulkner's novel. I am pleased to have this recording in my permanent library. Having a lengthy daily commute, I have listened to over a hundred recorded books and this one is absolutely among the best I have heard! 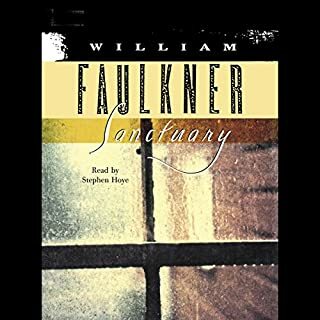 Faulkner's writing begs to be read out loud and this recording was beautiful, capturing you in its slow southern spell. The multiple voices are simply wonderful and, having read this in hard copy many times over the years, I had some trepidations about listening. However the words are as powerful as they are in print and have the added quality of staying as the voices of a "play" in your head. Terrific. 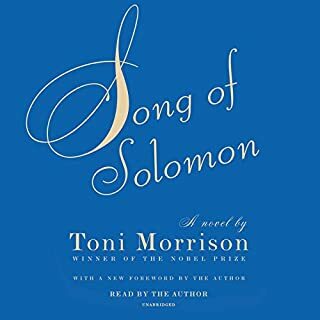 I use this "tour de force" novel in my high school English class, and I've found that the audio helps the students follow the story better. I personally enjoy the narrators who with their use of dialects are able to add life to the characters, even Addie, who is dead for most of the novel. Faulkner is not an easy read. Expect to go back often and really listen to the story. Expect to look up some notes and commentary to grasp what the hell is going on. Expect to struggle with lines like, "My mother is a fish"
Expect to WORK through this book. And expect the best of literature and performance. Expect to learn. Expect to expand your insight into frustration and futility. Expect to feel pain. This is a great piece of literature and it's very well delivered. 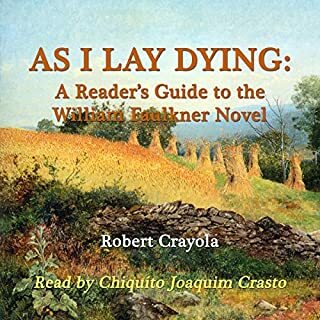 The multiple narrators of this audiobook bring the story to life: a grim tale of poverty and death with an unexpected dash of hilariously dark humor. A woman is dying and is finally dead, and her husband and children set out with the coffin on a journey to her home town. The language is colorful and concrete and filled with incantatory repetitions of certain phrases. It's the ultimate jinxed road trip, cursed at times with what appear to be all the plagues of Egypt. Without giving away too much, I'll just say, to paraphrase the Bible: where there's a dead body, the vultures will gather. This saying may have originally been intended as a metaphor, but in Faulkner's beautifully poetic prose, you can hear the flapping of wings. 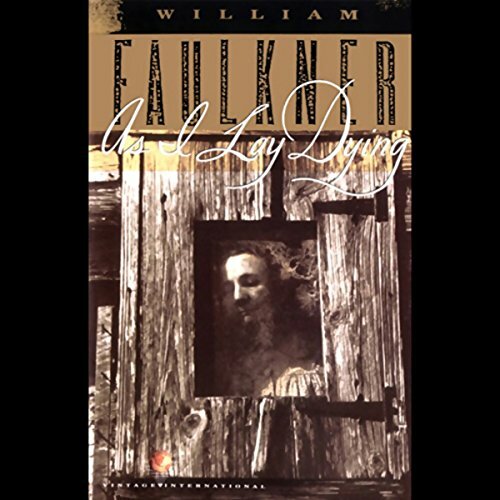 As I Lay Dying is a classic American novel that was written by William Faulkner. This book follows the journey of fifteen different characters as they set out to fulfil the wishes of the recently deceased Addie Bundren who is to be buried in Jefferson. 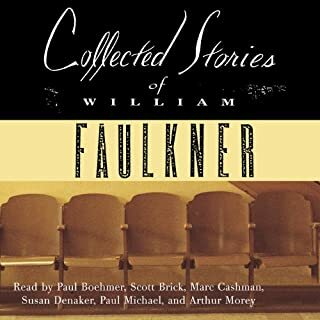 Faulkner shifts between the fifteen narrators throughout book, one of them is even the deceased, who is expressing her thoughts from the coffin. As the book continues you can see the characters develop with each narrator’s perceptions and opinions. This book is best known for its stream of consciousness writing technique which can be one of the biggest struggles with this book. It’s a dense read and if you don’t pay enough attention and try to delve deep into this book you will struggle to enjoy it. I made the mistake of starting reading book out as like a novel and it took me a while to pull myself up and approach this novel in the right mindset. But eventually I did start enjoying this book for what it is; and that is as a piece of literature that helped pioneer the stream of consciousness narrative and the interior monologue. Faulkner was never an easy author to read but I hear this is his most accessible novel so I’m worried about reading anything else of his. I did enjoy exploring his literary style and just seeing the techniques he used for this novel but this really isn’t everyone’s idea of a fun read. There are some interesting characters in As I Lay Dying and some very ironic and dark elements to the story. As for the plot and scenery I did find it lacking but that really wasn’t what Faulkner was trying to achieve. William Faulkner has famously said that he wrote the novel in six weeks and that he did not change a word of it. This in itself is a pretty impressive statement but if you look at the techniques and the novel as an overall piece of high literature, this statement is more impressive that I originally thought; it makes me feel like a failure. As I Lay Dying is not going to be for everyone, it is a dense novel but for lovers of literature it is interesting to dive into something that has been analysed deeply. I’m not going to go into this side of the book because I doubt I could really do it justice. The style of this book is interesting, the prose is worth a deeper look and overall this book is just fascinating. Yes. If you love diving into the twisted mind of writer like Poe and Faulkner you will love this twisted tell. What could William Faulkner have done to make this a more enjoyable book for you? Spoiler alert ... I don't like that Darl was used as a scapegoat to end the story. It is as if Faulkner just got tired of the characters and abruptly ended the story with out tying up loose ends. The Narrators give a different voice to each character allowing the reader to follow the story more easily. Do you think As I Lay Dying needs a follow-up book? Why or why not? What makes this book interesting is not the story. The story is pretty banal. What makes this book interesting is the characters, and the insight into how people feel and think, and the dynamics that develop within a family or any other group of people. Faulkner was a brilliant innovator of stream-of-consciousness and other modern narrative devices. I appreciate him more the more I read of him. A lot of writing presupposes that people think in words, but Faulkner tries to express the non-verbal feelings we have drawing from the words we would use if we had the time and the vocabulary to sort them all out. I think this accounts for some of the poetical imagery we get from characters who would not otherwise think some of the thoughts Faulkner ascribes to them. The travails of the Bundren family are painful to watch. They all have their secrets from each other. They are all flawed individuals. They have barely held together as a family. Watching them all stumble through the trial of dealing with Addie's death makes you wonder how they can possibly all stay together much longer. But there are counterforces at work too. One thing I cannot understand is how a 270 page book can be narrated in under 7 hours. I guess I will have to go look at a paper copy and try to figure it out. The use of 4 readers for this book is extremely helpful in sorting out which of the 15 narrators is speaking at any given time. In general I give them high marks for conveying Faulkner's language and coping with the ambiguities of stream-of-consciousness writing. The one exception I have to comment on is the voice chosen for Dewey Dell. The reader chooses to make Dewey Dell into a kind of wispy, ethereal, dreamy teenager. She fails to capture any of the sullen, angry adolescent that Faulkner constantly hints is at the core of Dewey Dell's character. However, that minor complaint in no way detracts from the overall quality of this audiobook. It's not about Dewey Dell, any more than it is about Anse, Cash, Darl, Jewel, Vardamon or even Addie. It's ultimately about something else. Something I don't know how to express. Faulkner knew how to express it, but it took him a whole book to do it. If you're looking at Faulkner then you hopefully know what you're getting into. This, along with Unvanquished are probably good intros with this starting to get into the stream of consciousness and convoluted structures without being too much. this is a great idea to have the rotating narrators by different readers, however they should have gone a step further and used enough to cover all the voices distinctly with no repeats. there are a couple of narrators who read more than one voice/character and some voices are not as individual as they need to be, and a couple times a reader's sections come back to back and the voices run too similar, enough that i lost track of who was speaking a couple times. still a good rendition. The key to this book is the disparate voices of the same family that find their way to us across the divide of time, location, culture and context. A book that is a struggle from the start - 15 different narrators in 59 chapters - but a journey that becomes easier as we are helped with the burden of unfamiliar language and strange circumstances by a great narration team. The Stream of consciousness technique was refined from its European source by Faulkner and we see its full glory here - on the trail to Jefferson, Mississippi. Not Agamemnon to Odysseus as the title suggests, but a dirt poor family in the throes of their own sad Odyssey. Great stuff ? a really difficult book well delivered ? it?s what makes Audible so valuable. Far be it from me to judge so unquestionably accomplished and gifted an author but this is a novel characterised by an unrelenting misery that is at times very difficult to endure. Nevertheless, it’s an arresting and highly innovative work rich in quite astonishing imagery. From a performance perspective, I’m afraid there are too many actors performing the parts. If one actor is sufficient to voice a multitude of characters in a titanic 18th or 19th century novel (see Juliet Stevenson reading Middlemarch or even the audacious early-20th century Mrs Dalloway, with its flowing from one stream or consciousness to another), then just the one should do for a relatively short novel like this. As it is, the jumping between actors interrupts the rhythm, and becomes rather irritating. I certainly don’t regret having chosen this novel but I’d be lying if I didn’t say it hadn’t brought on my own depression somewhat. Struggled to finish. 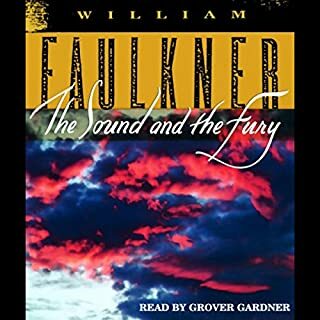 An impressive concept by Faulkner but struggled with the many and varied characters and their specific language and thought processes.